Steamrail Brewing is certainly making waves in the Australian beer scene, most would say for the wrong reasons. This "micro brewery" is operated by Coles exclusively for their Liquorland stores. Whatever you think of this I still feel the beers deserve a chance to prove if they're drinkable or not on their merits. Crisp as Day was one of the badges released in that mass load of new badges a while back. 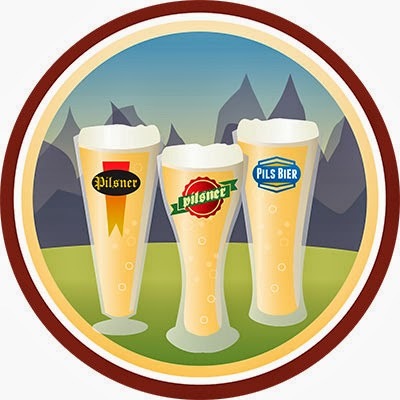 To earn a new level on this badge, and like most other badges, you have to sample 5 new Pilsners. Be they German or Czech, as long as they're classified as Pilsners on Untappd they'll count. This is level 3, so I've had 15 unique Pilsners since those badges were released. Hop Dropper Pilsner pours a dark golden colour, which is quite unusual for the style. Sorry for the photo, I should have the lighting in the bar fixed soon. The head on top of the beer is a light cream colour and is initially quite voluminous. Several large bubbles do appear quite quickly, as seen above, and the head retention is quite poor. It does however leave a nice web of lacing behind on the glass. Onto how the beer tastes and it's surprisingly good. Much like the aroma the beer starts out with some light pale malt flavours which is gradually complemented by some quite bitter grassy hops. There is no sign of the soapy aroma when it comes to taste. It's a crisp refreshing beer with a nice dry finish. For all those who question Coles' morals/refuse to drink this on the basis that it's not a "craft beer" I urge you to give this beer ago. It's actual not a bad drop at all. By no means is this beer a world beater, but for a relatively small scale operation in Australia producing a Pilsner it's not bad at all. For the price it's worth a go. 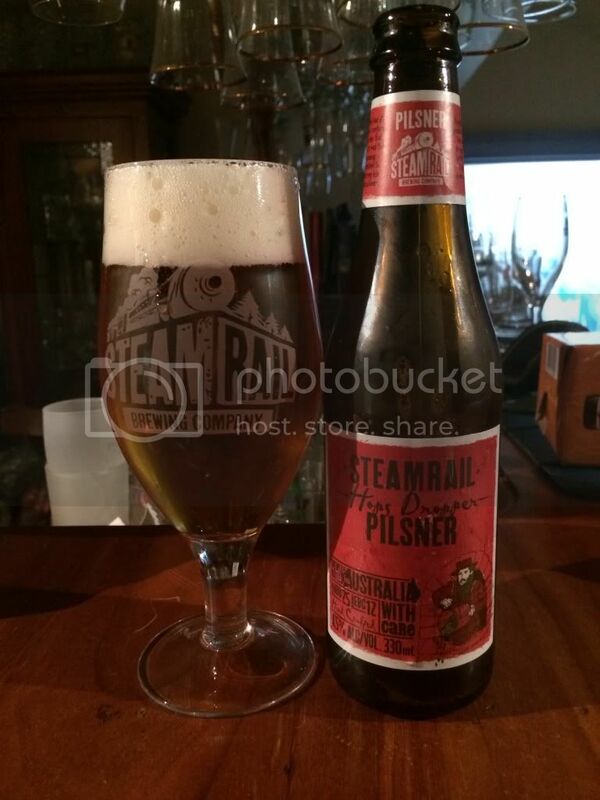 I'd love to hear from anyone who's tried this or any other of the Steamrail beers.